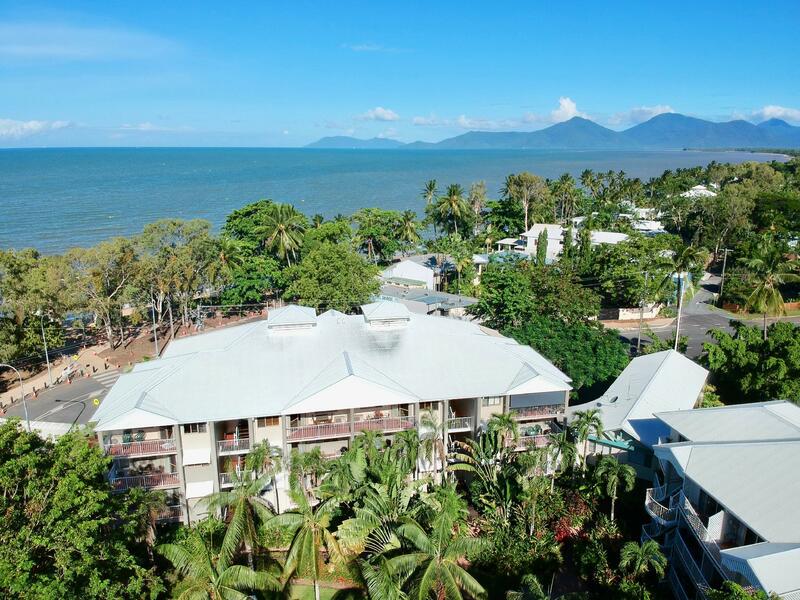 بني فندق Cairns Beach Resort في 1999، وهو يعتبر ميزة مُضافة للمدينة و خيار ذكي للمسافرين. يحظى هذا الفندق ذو 4 نجمات بمكان ممتاز يسمح بالوصول إلى المعالم السياحية الأكبر في المدينة، فهو يبعد مسافة 12. Km عن صخب المدينة. سوف يعشق النزلاء موقع هذا الفندق، فهو قريب من أهم المعالم السياحية في المدينة . يقدم Cairns Beach Resort خدمات لا غبار عليها وكل أشكال اللياقة وحسن الضيافة اللازمة لإسعاد ضيوفه. تتضمن الميزات الرئيسية في هذا الفندق: واي فاي مجاني في جميع الغرف, خدمة سيارات الأجرة, خدمة حجز التذاكر, تسجيل وصول/خروج سريع, تخزين الأمتعة. في Cairns Beach Resort غرف نوم يزيد عددها عن 73 صممت بذوق وعناية لتوفر لك كل وسائل الراحة . بعضها يحتوي أيضاً على تلفزيون بشاشة مسطحة, غرف لغير المدخنين, مكيف هواء, خدمة الإيقاظ, شرفة/ تراس. يقدم الفندق مجموعة رائعة من الخدمات كمثل حمام سباحة خارجي, غوص, صيد السمك, سبا, تدليك، لجعل إقامتك تجربة لا تنسى. 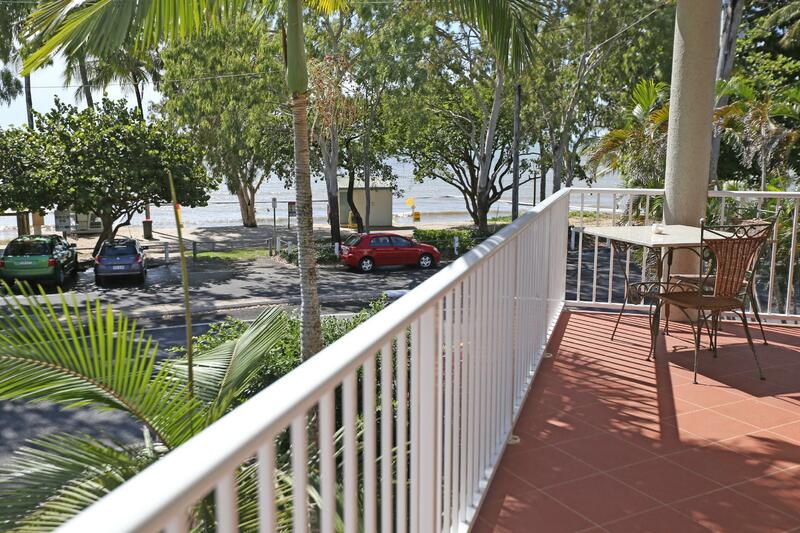 إن Cairns Beach Resort هو خيارك لخدمة الفنادق الراقية في المدينة. Right across from the beach, about 10-15mins from the city. Big 1 bedroom apartments, worth the upgrade to a sea view. Staff where great and the gardens are fabulous. Will return for sure! friendly staffs and near beach. Good for relax. 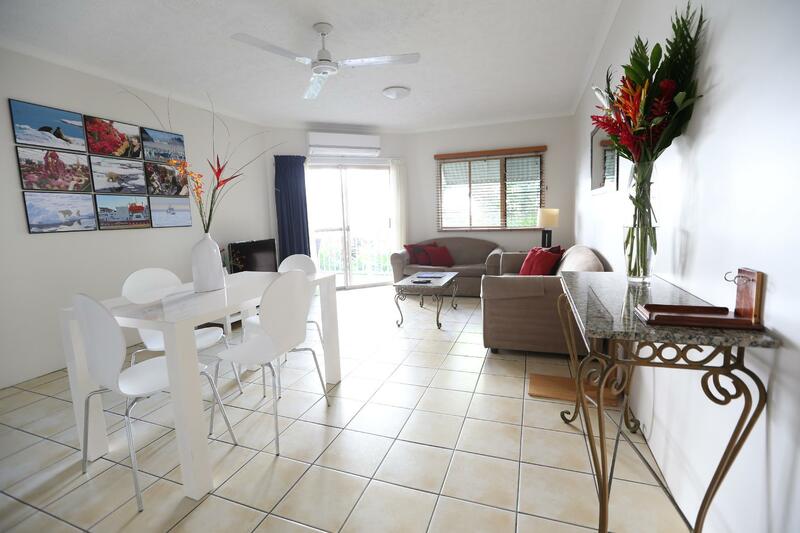 Full kitchen, living room, balcony and bedroom steps away from the beach. 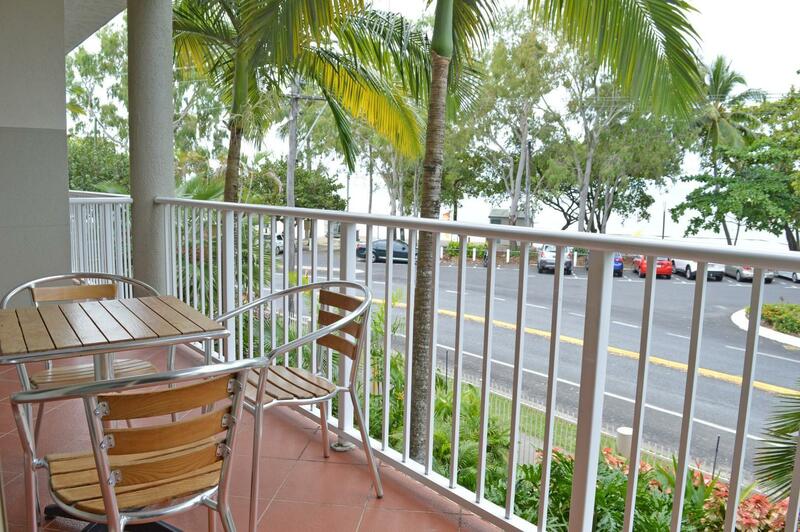 Close to airport, restaurants nearby, local bus to downtown Cairns. Staff is fabulous and very helpful with tours. Very clean and has everything including washer, dryer, library of books, DVDs, and cable tv. Air conditioning works really well and super quiet too. What stands out for us is that our oceanview room was so near ocean we could sit on balcony and hear waves crashing always and the birds are fantastic. Beautiful gardens on property. Large apartment and balcony. Great value for cost. Slept wonderfully, such a comfy king bed. Booked tours through resort & staff is great in helping with ideas for tours. We used bbq area. Some good cafe’s we could walk to, one across street and others 5 minutes away. If you want to get out of larger centers but still be nearby this is a great choice of accommodation. There is a bus going into Cairns at least every hour and to a very nice mall if you don’t rent a car. You can also use Uber which we did at a great price compared to the cabs which we also used. Love the area, great friendly people and amazingly beautiful. 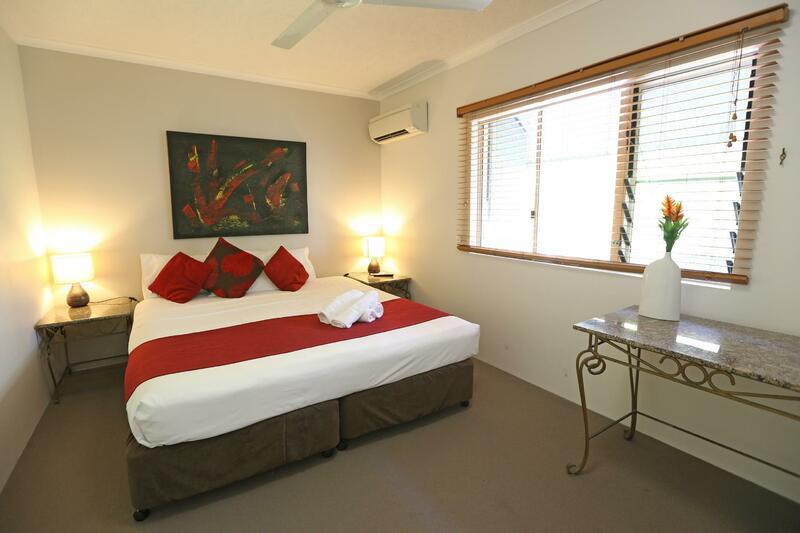 Quiet location, room is adequate for sleeping and a base if you are out and about. Bathroom didn't have any ventilation so was a bit uncomfortable when with others. Staff were friendly and great cafe at strait on the beach for morning coffees. Beautiful apartments across the road from the beach. Very peaceful area. Gardens were lovely with a great swimming pool. Very clean and spacious rooms, thoroughly enjoyed my stay, recommend. Location was shown as beach. However, it was not really beach facing. Never expected this from Agoda. Had a wonderful time! Thank you for everything! FANTASTIC!THE GARDENS ARE SURROUNDS ARE IMMACULATE. WE WILL DEFINATELY STAY THERE AGAIN. SO CLOSE TO EVERY THING AND VERY GOOD VALUE FOR MONEY.WE JUST LOVED IT. Our initial question was whether we would be able to get into our room after arriving at 4am with the business office closed. Lynne the manager was very accomodating and immediately made arrangements for us to get our key to the room. Our room was wonderful with a view of the ocean right from our bed. What more could you ask for. Lovely place, easy transport to the main cities on the bus. Really more than we could have hoped for. Thank you!!! Last minute booking received a top floor ocean facing suite with a massive deck. Loved the bright open floor plan. Great location !! I had a wonderful time and would return and recommend at any time. Generally very satisfied with the unit but it needs a dining table and chairs, and the frypan and eggslice were not clean. Booked a 2 night stay and was impressed with the size of the rooms. The lady on reception was fantastic we arrived early evening and she also helped us book a round cairns in a day trip for the very next day. Also close proximity to the airport for our departure.